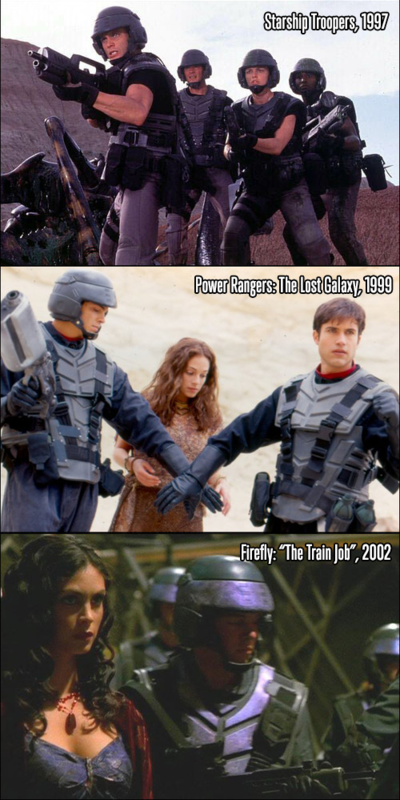 A keen eye on Reddit spotted this, the soldiers' armor in Starship Troopers in two other shows. There's still talk that Sony and Marve might work together. A lot of directions it could go, just not sure which is the most likely at this point. They definitely bit off more than they could chew. The sinister six thing sounds so lame. stop and rethink the whole plan, we have time... do it right! I like Spider Man. I hope they don't mess it up. That's the problem with accepting only the Avengers model. I love the Amazing Spider-Man movies. They're the closest a Marvel movie has come to Nolan's Batman, which remains for me the highwater mark for superhero movies. I bet there's Starship Troopers reboot at some point. Yeah, the model works for Marvel, but I think it’s a lot of work to build and most studios don’t realize how much work it took to get there. Nolan made a great Batman series and without any connections to other films. It works either way. Me too Carol! He’s one of my favorites.